The Clutch is a beautiful, fully functioning wallet with the built-in ability to carry your entire makeup collection, without adding a bit of bulk. The Clutch is a beautiful, fully functioning wallet with the built-in ability to carry your entire makeup collection, without adding a bit of bulk. Going on a trip? Leave that chunky, uncheckable cosmetic case at home. Running errands after the gym? Freshen up in a flash. The clutch has you covered from a quick touch-up to your whole morning routine. 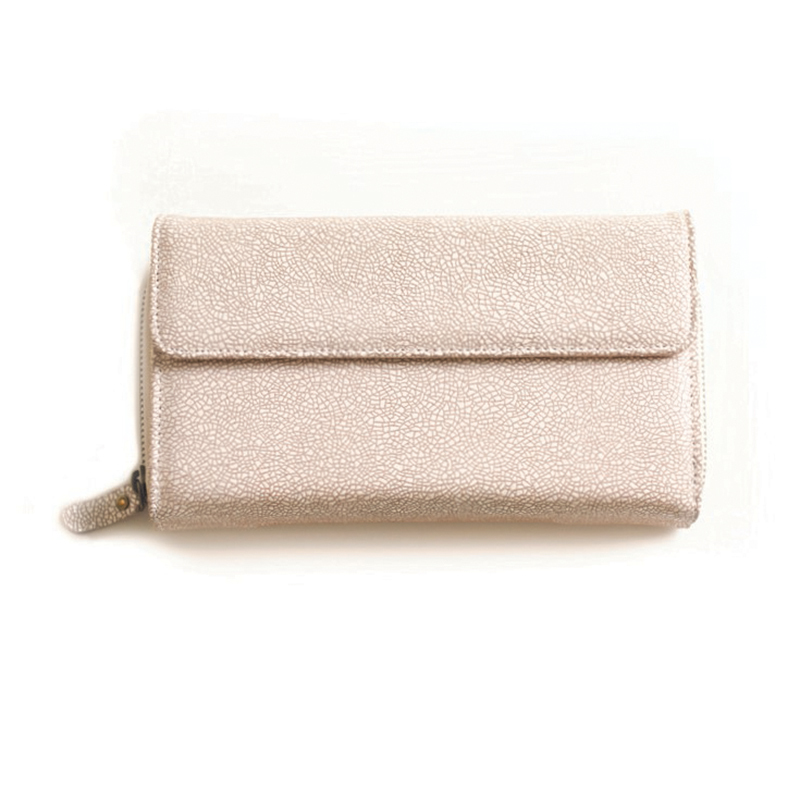 Wear it as a cross-body, grip it as a clutch, or pop it in your bag as a wallet.